PRP hair growth is a natural hair restoration solution for baldness (or alopecia). A small amount of blood is extracted with a fine needle from the individual undergoing therapy. Centrifugation is then used to separate platelet rich plasma (PRP) from the blood. When injected back into the scalp of the patient who suffers from androgenic alopecia hair loss, growth factors in PRP help in hair restoration. 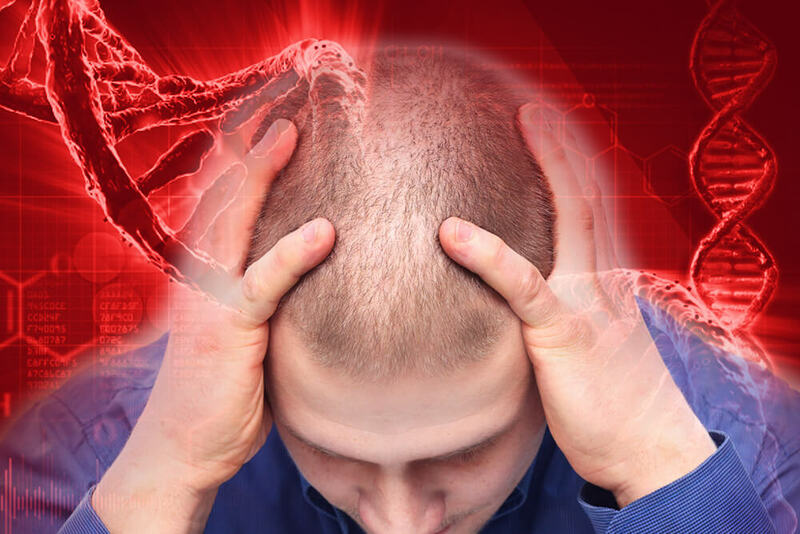 And when androgenic alopecia (AGA) affects about 70% of men and 40% of women globally, it’s a hot new procedure to assist millions of hair loss sufferers worldwide. The practitioner aspires a small amount of blood from the patient’s body and subjects it to centrifugation. Centrifugation is a process that separates components of whole blood — red blood cells (RBCs), white blood cells (WBCs) and platelets. RBCs, which make up 45% of the whole blood, rest at the bottom; with WBCs and platelets, making up <1% of the total blood, present in the buffy central layer. The top layer – called plasma – is supernatant and up to 55% of the total blood. Once centrifuged, platelet-rich plasma (PRP) is collected by sucking out the top supernatant layer of platelet-poor plasma (PPP), the residual volume in the tube is re-suspended by gentle inversion. PRP contains about >1,000,000/μL platelets. Total amount of PRP yielded is very small, at around 5-6 ml. PRP is then activated by adding calcium chloride or calcium gluconate (10%) to the concentrated plasma. The mixture is then allowed to stand for a few minutes which initiates the fibrin clot (marking the start of coagulation cascade). It is necessary to activate these platelets since the essential growth factors are found only in activated platelets (alpha granules). 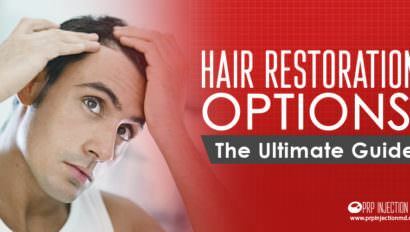 The PRP is then injected into specific points in your scalp where it stimulates hair re-growth. Platelet derived growth factor (PDGF) – promotes dermal mesenchyme growth which forms hair canal. A dermal mesenchyme is a tissue of loosely connected cells located in the dermis. Epidermal growth factor (EGF) — enhances growth of the hair follicles (called anagen phase) by stimulating epithelial cells and fibroblast cell division (mitosis). Vascular endothelial growth factor (VEGF) – enhances hair growth and hair quality. Nerve growth factor (NGF) – is a strong growth factor that also reduces the rate of programmed cell death (apoptosis). Fibroblast growth factor (FGF) – stimulates the proliferation and differentiation of keratinocytes and endothelial cells. Insulin like growth factor (IGF) – protects cell apoptosis by regulating the expression of messengers. PRP injections have gained popularity among patients and cosmetic surgeons for being a therapeutic alternative. It is an adjuvant cellular therapy for patterned hair loss (PHR). 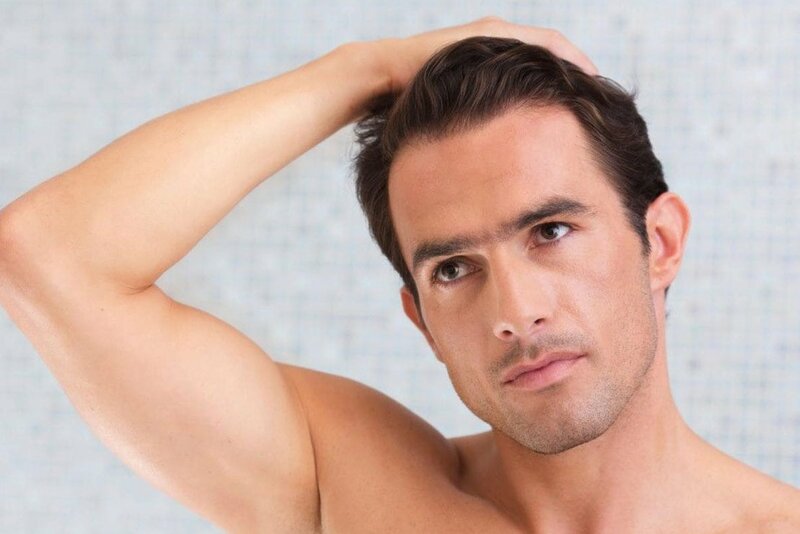 If you are planning on getting a full hair transplantation, PRP hair growth injections can help delay the need for transplantation up to a year. It is a temporary solution. Though this hair therapy is effective, regrown hair can fall again because of factors such as hormones, environment and inheritance. It lasts for about a year. The only side effects are pain and swelling. Minoxidil has reportedly been associated with hair overgrowth on parts of the body other than scalp. Finasteride has been linked to loss of libido. It can also hamper gender development in male fetuses. Though these drugs are still the gold standard in dermatology clinics, mounting complaints of alopecia and hair thinning have led people and cosmetologists to explore new avenues of hair loss treatment. Several clinical trials have been conducted to study the effectiveness of PRP hair growth therapy and have delivered encouraging findings. In a 2011 study, Takikawa et al, of National Defense Medical College, Japan, found PRP to increase hair growth in 13 patients who received five local treatments of platelet-rich plasma injections. Microscopic examination showed a thickened epithelium of hair follicle as well as an increase in the number of collagen fibers and blood vessels. In another pilot study, Sorbelline et al of International Hair Research Foundation, Italy (2013), evaluated safety and efficacy of PRP injections in 45 patients suffering from alopecia areata, an autoimmune condition. Patients were followed for one year. PRP produced surprisingly good results by promoting hair growth, reducing itching and burning, and decreasing hair dystrophy. Italian researchers further authenticated the findings of earlier studies and found PRP hair treatment to provide improvement by 40.6% and 54.7% in male and female participants. Subsequent studies by researchers from University of Thrace, Greece, (2014) and University of Rome, Italy, (2015) have vouched for therapeutic efficacy of PRP for hair growth and patient satisfaction without any major side effects.